A Down-to-Earth Guide to Traditional Wicca While there are many powerful variations of contemporary Witchcraft, traditional Wicca offers unique experiences for those who seek it out. 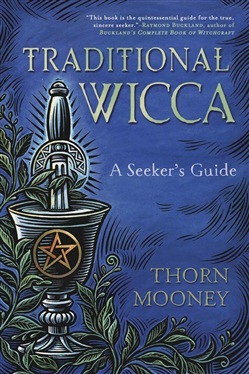 This book explores structured, coven-based styles of Wicca, in which the practitioners typically trace initiatory lineages back to Wicca's early founders. Discussing covens, initiations, lineages, practices, ethics, and more, Traditional Wicca shares tips and ideas on how to get the most from this profound approach to Witchcraft. Discover how to recognize healthy, reputable covens. Learn how to navigate the process of asking for training and succeeding in an outer court. Explore the spiritual strength of lineages, hierarchies, and initiation. This book also includes contributions from several practitioners, providing valuable first-person perspectives on what it's like to be on the traditional Wiccan path. 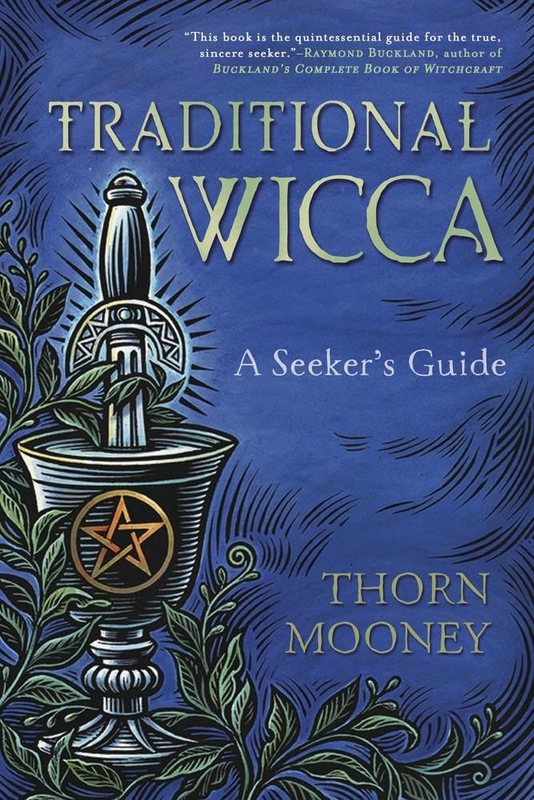 Praise : "Like the bristles of a besom, Thorn Mooney's Traditional Wicca sweeps through the subject of Witchcraft removing the dust and dirt of ignorance and prejudice to reveal the true heart of Wicca. Thorn writes with obvious sincerity, with feeling, and from experience. Her book covers everything from defining Witchcraft, through the workings of a coven, to actual initiation and beyond. She warns that Wicca is not for everyone and—I am personally delighted to see—includes a chapter on recognizing 'Red Flags' when first contacting others...especially those who might claim to be more than they actually are. This book is the quintessential guide for the true, sincere seeker. "—Raymond Buckland, author of Buckland's Complete Book of Witchcraft "Traditional Wicca is a unique and important book. It's amazing to me that in over 70 years of publishing on the subject of Wicca, nothing like this book has ever been written! I'm kind of jealous I didn't think to write it myself. The chapter on initiation is, by itself, worth the cover price. Acquista Traditional Wicca in Epub: dopo aver letto l’ebook Traditional Wicca di Thorn Mooney ti invitiamo a lasciarci una Recensione qui sotto: sarà utile agli utenti che non abbiano ancora letto questo libro e che vogliano avere delle opinioni altrui. L’opinione su di un libro è molto soggettiva e per questo leggere eventuali recensioni negative non ci dovrà frenare dall’acquisto, anzi dovrà spingerci ad acquistare il libro in fretta per poter dire la nostra ed eventualmente smentire quanto commentato da altri, contribuendo ad arricchire più possibile i commenti e dare sempre più spunti di confronto al pubblico online.